Happy Monday, Hope you had a great weekend. 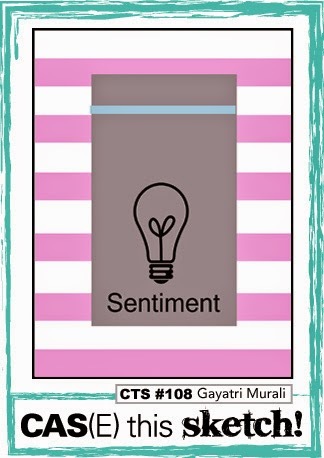 I have another card for you today using a “NEW to ME” item from MFT that I have wanted forever and finally got! They have been out of stock for a while now and I was thrilled to seem them back! It’s the rectangle stitched dies that everyone else has had forever. I know you are probably thinking that they are not that exciting, but they are to me!! Even my hubby thought I was crazy to be this excited about them. He’s like….” That’s it, that is all they do?” Oh well, it’s the little things right? I saw the sketch over at CAS(E) this Sketch and I knew I wanted to join in the fun. I came across this paper and I thought it mimicked the stripes perfectly! Also, I warned you a few days ago that you will be seeing a lot of these SU letter dies….and here they are again! I staggered two pieces of cardstock to match the sketch and a scalloped SU punch. Then I used some alphabet stamps to stamp the YOU and some pop dots! Categories: Cards | Tags: Card making, Cards, love, my favorite things, rubber stamps, sketch challenge, stamping, Valentines Day | Permalink. Cool colors in this neat Valentine you made. Great take on the sketch too! 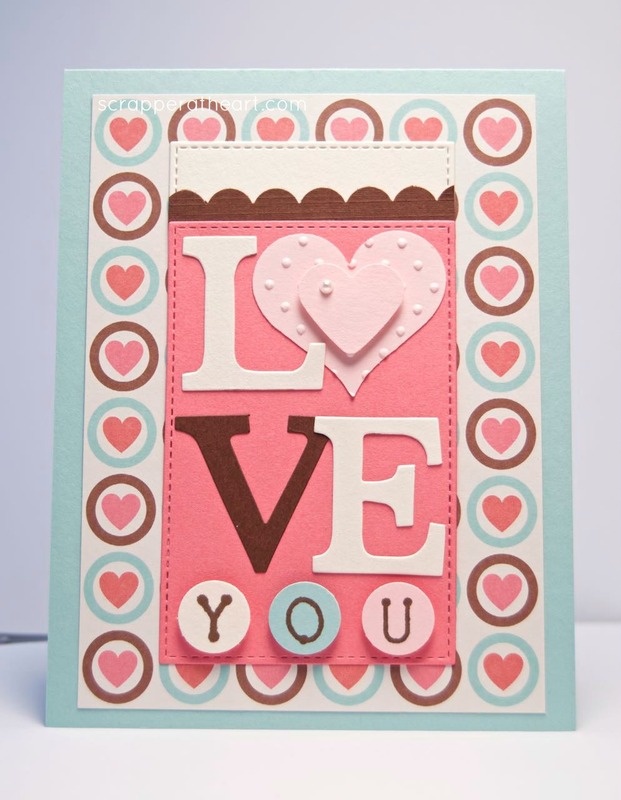 Love your card and your use of the stitched rectangles. I am glad you were able to get them and I think it is exciting too. 🙂 Love all the hearts too. Super SWEET card, Nancy! Love the colors! So sweet & pretty! Great take on the sketch! Ah Nancy!!! So glad to see your lovely card in the gallery! Great job adding detail and still keeping it CAS! This is really beautiful! Love the colors, the big “LOVE” and all of those wonderful hearts!